Miami-Dade Office of Film and Entertainment branded as FilMiami, is a full-service film commissions providing location and logistics assistance, government liaison, production information and referral sources. The County has an incentive program which issues a grant of $100,000 for the first $1 million spent locally and the Cities of Miami Beach and North Miami also have incentives. All local incentives are stackable. Filmiami is a cooperative between Miami-Dade County, the City of Miami Beach and 15 County municipalities to offer a one-stop permitting system. The one-stop permit process allows our production clients the ease of applying for permits for several jurisdictions all in one place. Miami-Dade County has very versatile and diverse locations. This coupled with our experienced and friendly cast and crew, perfect climate, beautiful natural light and all the ancillary companies that service the industry, makes a very productive environment for content creators. 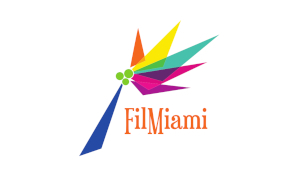 FilMiami markets and promotes to the Television/Film/Photo/Digital Media as a premier destination. GET FOCUSED on Miami with your next entertainment production project.! Please feel free to contact us with any questions and we look forward to working with you and making your production a success.